Our service is designed to give you, the everyday investor, a chance to make money in the ETF market. All Star Investor is one of only six newsletters named to the 2011 and 2012 Hulbert Financial Digest Honor Rolls. Ready to get your ETF edge? 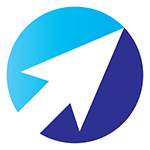 Start your 14-day FREE trial of All Star Investor and get $100 off the annual subscription rate should you decide to subscribe. 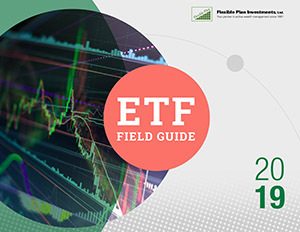 As a bonus, you’ll get the “ETF Field Guide” that you can download today. It’s yours to keep even if you decide not to continue with your subscription. "I most value the unique RSM scores (rankings) as a great intermediate trend measure. I don’t want to be in a fund that does not an RSM above the money markets. Thanks for continuing to make your services better and better – now 3 times a week and online." "For years, I chased the 'hottest' newsletter and/or fund which just caused me to move money around excessively and waste money...Once I subscribed, however, I've followed your recommendations religiously and have been very pleased with the results." "This short letter is in appreciation for your excellent newsletter. The results are very impressive and help me understand what you're doing and why your system is the BEST." "You do an excellent job and have made me a much wealthier man. I recommend you strongly to anyone who will listen." "I subscribed for years during the late 90s and made a lot of money just moving my 401k in and out of sectors. But I made a huge mistake in thinking you were wrong to advise selling Select Electronics when it was $122 or so. I didn't sell, it went up to $130, but then I got distracted and it plunged to $64 before I got rid of it. I learned my lesson. I pay you for advice and I now make sure I take it. Thanks." "I am very satisfied with your newsletter and the returns it provides for my retirement account... keep up the good work and research. Thank you!" "I have been with the service for a long time. I love the commentary on the state of the stock market. I pay close attention to your advice on when to enter or leave the market. I like your take on why the markets are doing what they are doing." "Your newsletter is light years the best in its overcrowded field - and not only in results but in clarity, prudence, calmness, and overall responsibility, such as adding a hotline." "I have been with you since early 1994. Yours is the most effective newsletter I receive. Your philosophy and portfolio structures most match my own thoughts about investing in today's investment climate. In my opinion, little needs to be changed. You have done a great job throughout the 10+ years of my association with you. Great work! I am confident you'll remain at the top of my list of indispensible investment information sources and portfolio management services. " All Star Investor offers a variety of valuable resources that feature commentary, strategy updates, and timely advice on the ETF market.